Since it was founded, the Komische Oper Berlin has been the place where both parts of the term »musical theatre« receive equal attention. We perform the sort of theatre that has a proud tradition here, namely productions in which the various art forms do not vie for supremacy, but instead justify each other; productions in which all the participating artists combine their talents and work towards a common aim - to provide vital, contemporary, exciting theatre each and every night. In 2007 and 2013, the Komische Oper Berlin was voted »Opera House of the Year«, and its choir soloists received the title of »Opera Choir of the Year« in 2007 and 2015. These awards confirm that the Komische Oper Berlin has developed into one of the highest-profile opera houses in the German-speaking world. Our »high profile« is not in the sense of representative routines, however, but of a distinctive, strongly individual, and unique artistic institute. Here, opera is not merely a culinary spectacle, but instead a predominantly theatrical event. Making this profile visible and palpable during every performance and during the daily work of all departments in front of, on, and behind the stage is the most important aim of our work. Each time we want to show the magic of musical theatre anew; we want to show that, because of the music, it is the only art form which can communicate concrete contents in a way which is palpable on an immediate emotional level. It is our opinion that musical theatre's main aim is to move people. When he is appointed Artistic Director Barrie Kosky maintains the tradition of his predecessors but also recalls the history of the theatre in Behrenstrasse before 1945. Works which had been suppressed or forgotten are once more on the programme, pieces which have seldom or never been heard – especially by composers who vanished from sight under the Nazis and are in many cases unjustly forgotten even today. Under Kosky the Berlin jazz operetta demonstrates its biting wit, while some works reveal themselves in a completely different light when liberated from 1950s kitsch. The Komische Oper Berlin re-emerges as the legitimate heir to the Metropol Theatre. Komische Oper Berlin 19:30 Uhr WEST SIDE STORY Musical  → Mehr erfahren Fri 26.04. Komische Oper Berlin 14:00 Uhr Guided Tour Special Costumes Guided tour through the costumes departement. From the figurine to the custom-made suit. → Mehr erfahren Sat 27.04. 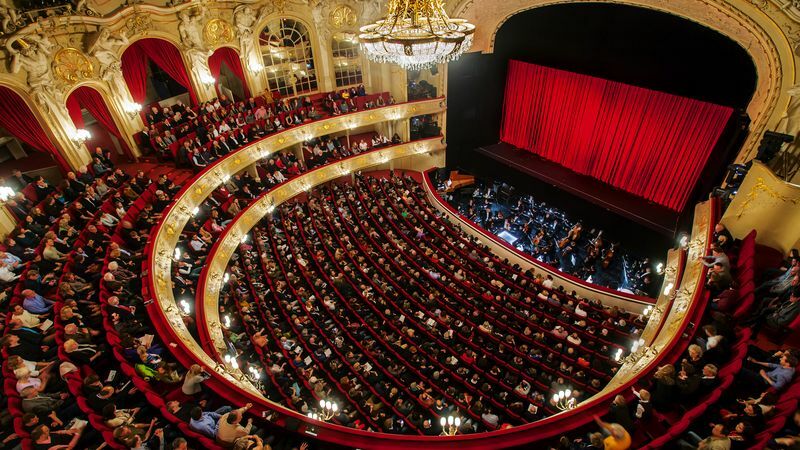 Komische Oper Berlin 16:00 Uhr Guided Tour Guided Tour to the opera house and the backstage area → Mehr erfahren Sat 27.04. Komische Oper Berlin 19:30 Uhr WEST SIDE STORY Musical  → Mehr erfahren Sat 27.04. Komische Oper Berlin 19:00 Uhr La Bohème Opera in four acts  → Mehr erfahren Sun 28.04. Komische Oper Berlin 19:00 Uhr My Fair Lady Musical in two acts  → Mehr erfahren Wed 01.05. Komische Oper Berlin 19:30 Uhr Petrushka / L’Enfant et les Sortilèges Burlesque in four scenes  | Fantaisie lyrique in two parts  → Mehr erfahren Fri 03.05. Komische Oper Berlin 14:00 Uhr Guided Tour Special Make-up Guided tour through the make-up departement. How long does it take to produce a bald head? → Mehr erfahren Sat 04.05. 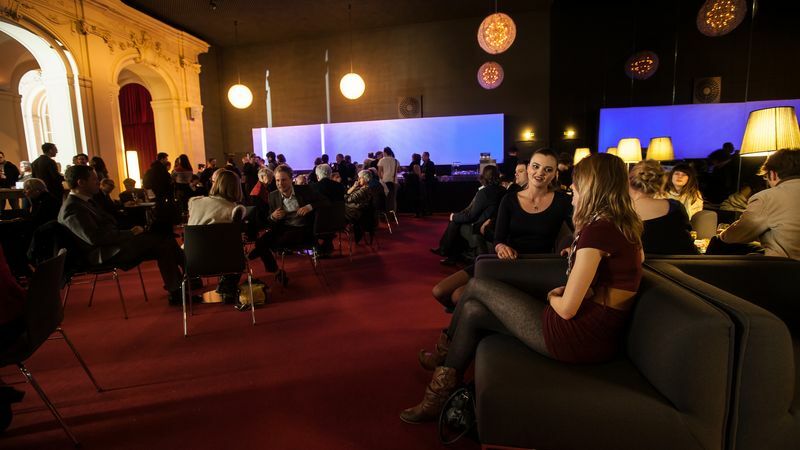 Komische Oper Berlin 16:00 Uhr Guided Tour Special Make-up Guided tour through the make-up departement. How long does it take to produce a bald head? → Mehr erfahren Sat 04.05. Komische Oper Berlin 19:30 Uhr Poro Opera in three acts  → Mehr erfahren Sat 04.05. 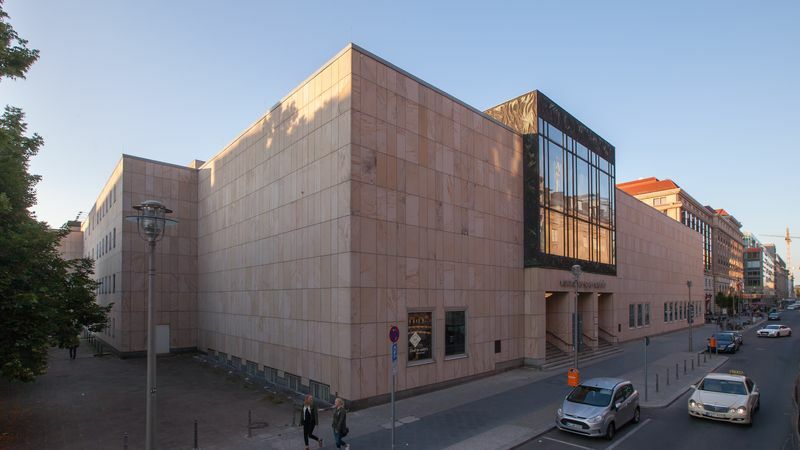 Komische Oper Berlin 19:00 Uhr M – A City searches for a Murderer Opera in one act  → Mehr erfahren Sun 05.05. Komische Oper Berlin 19:30 Uhr Petrushka / L’Enfant et les Sortilèges Burlesque in four scenes  | Fantaisie lyrique in two parts  → Mehr erfahren Mon 06.05. Komische Oper Berlin 19:30 Uhr The Fair at Sorochyntsi Opera in three acts [1880/1932] → Mehr erfahren Thu 09.05. Komische Oper Berlin 20:00 Uhr Symphony concert 6: Kristiina Poska and Tine Thing Helseth → Mehr erfahren Fri 10.05. Komische Oper Berlin 16:00 Uhr Guided Tour Guided Tour to the opera house and the backstage area → Mehr erfahren Sat 11.05.